At times one don't need to wait for the blue hour/golden hour yo shoot the picture. This is shot middle of the day, standing from a viewpoint and handheld. The gorgeous view is more soothing to eye in person than seeing it in picture. 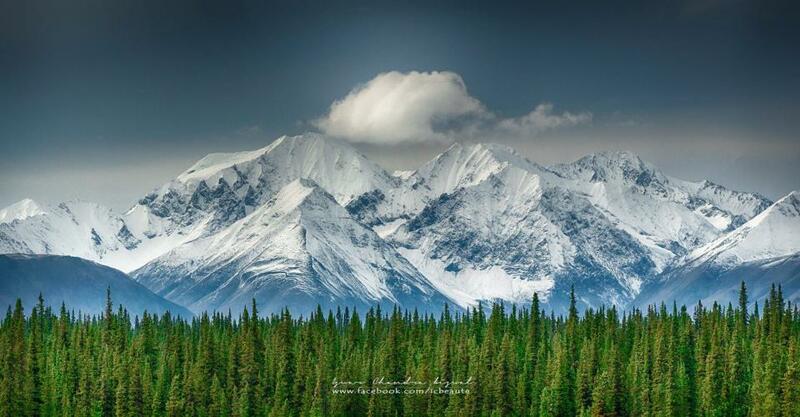 Its a 3 shot pano, shot on the way to Denali national park, Alaska.